Beach Block, 6 chambres à coucher, deux maîtres, deux cuisines, idéal pour multifamilial! Fenwick Island, DE - Beach Block 6 chambres, 2 suites de maître, deux cuisines complètes, maison unifamiliale. Vue sur l'océan -Grande du pont principal et la chambre principale. Emplacement -Fabulous! Le meilleur des deux mondes, des mesures pour calmer plages gardées non bondées, et les étapes des magasins, des restaurants, bars et divertissements. Marchez enfants pour obtenir la crème glacée, jouer au mini golf, même des films. Garez votre voiture et ne pas revenir dans toute la semaine! Miles -4 à Bayside parcours de golf, de nombreux grands cours dans la zone. Salle de bains -Hors! Ainsi, vous pouvez rapidement frappé la salle de bain et être de retour à la plage en quelques minutes. Grande fonctionnalité pour les enfants. - 4 HD TV par câble / DVD / Netflix. Wifi dans tout. Les chambres de maître sur les niveaux 2e et 4e salle de bains privative. Salle d'eau au 3e niveau. salles de bain complète au niveau 2e et 1er. Great house in a prime spot! This house is in a prime spot. Steps from the beach and from the main strip where there is everything you will need on vacation. The beach is big and not crowded due to limited parking for public access, which is great. The waves were fun and the sand was soft. No bugs! Its a few minute drive to Ocean City boardwalk so you can enjoy it, while being away from it for some peace and quiet. The house is very cool and stands tall so you have a view from the top deck. It was plenty big for the 14 of us with a good bedroom layout. One weird thing is to access the bottom floor from inside the house you had to go down a ship ladder. Not an issue as we just gave the bottom floor to the kids. They had no issue with it. Amazing kitchen with lots of space and appliances, accessories etc. The master bedroom suite is gorgeous and very private on its own floor. Plenty of parking and a closet full of chairs, boogie boards, toys etc to use while there. Outdoor shower and bathroom was a nice feature too. The grill is small but works to cook up some burgers and dogs. When we arrived the house had not been cleaned. One phone call and the owner had people there cleaning it top to bottom for us. I share this not as a negative because stuff happens with paid cleaning services. I share this to demonstrate how responsive the owner was to making it right. On top of getting it cleaned immediately they also bought us dinner at a great spot walking distance form the house (even though I told her it was not necessary). They truly care about the renters and want you to have a great experience in their home. They are super nice people and were helpful in giving info and recommendations on things to do and places to go during our stay. 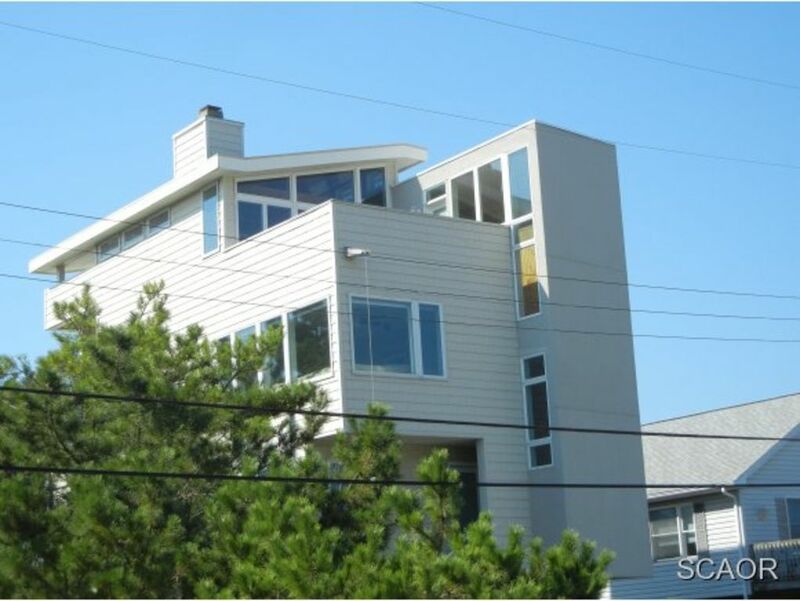 I can highly recommend this house and its owners if you are looking for a fantastic spot in Fenwick Island. Thank you! Three families, including three 4 year old boys and two 1 1/2 year old girls spent a week at this beautiful beach house. With six bedrooms, two kitchens and two living rooms we had plenty of room inside. However, we spent very little time inside. The house is only 4 houses away from the beach access ramp. The beach wasn't crowded and we were able to set-up right in front of the water. The house also has plenty of chairs, boogie boards, beach toys and umbrellas, so no need to pack them in your car. Within walking distance is mini-golf, go karts, Kohr Bros. ice cream, Candy Kitchen, Fisher's popcorn, numerous well rated restaurants, liquor store, bait store and sea shell store. We only needed the cars for trips to the grocery store and Rehoboth Beach boardwalk. The outdoor patio was perfect for a small pool for the kids, as well as lounging for the adults during nap time. The top deck was a favorite for the adults too, with enough view of the ocean to remind us where we were. But the best feature was the outdoor full-bathroom, which worked great for emergency trips to the bathroom for the kids. Also, the kids didn't need baths after showering outside. The property owner was very easy to work with and willing to answer a number of questions before we arrived. She even followed up once we entered the house to ensure it was clean to our satisfaction. We loved this house and hope to be back again next year! Cette maison unifamiliale est idéalement situé entre la plage et la rue principale où se trouvent des dizaines de restaurants, épiceries, bars, boutiques de surf, magasins de VTT, cinéma, mini-golf et autres magasins de détail. Garez votre voiture quand vous arrivez et vous ne avez pas besoin de conduire à nouveau.